We recommend only what we believe will support and guide you in your healing, growing and realizing your highest purpose. The following is a curated list of tools to utilize so you feel supported on your wellness journey. Be nourished. Be moved. if you'd like one-on-one support in your healing journey Please Call (415) 993-1535 or contact me here to book an appointment. I recommend starting and finishing the day with a 30-minute meditation. Sometimes, however, I know it's hard not to get a little stuck in the “healing” part and forget the gratitude, acknowledgment and affirmation part of happiness, wellness and being present in the moment so Get a 5 minute journal. I've been using ours for almost a month now, 5 minutes in the AM, 5 minuted in the PM. It prompts us to be in a positive space, shift our thoughts and get up and go or lie down and 💤 with an empty head and a full heart. I've put together a list (and links) to get your kitchen stacked with the gadgets you need and nothing you DON'T so you'll have the equipment you need to cook just about everything. I use a mala to recite my daily affirmations. I also use it to affirm or mantra when I'm feeling anxious or uneasy. If there were XRay eyes on my pockets, you'd find me counting while I silently repeat while walking down the street, riding the subway, waiting for my tea order. I have a lot of social anxiety because of my hypersensitivity. My mala has been my best ally in a lot of almost-panic situations. It's not just for time on your meditation cushion. I got mine from AMAbodysoul in late November and I simply love her designs and the feng shui inspiration. 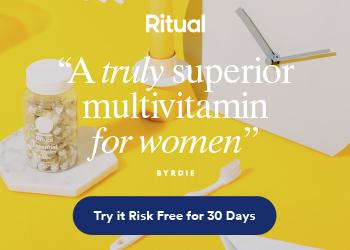 ritual women's 2-a-day multi is awesome. it not only is packed with all the essentials, in their most bioavailable form. it has nothing women don't need. it's hooked up to the most up-to-date science and research, ethically and organically sourced, vegan, non-gmo and...their site is loaded with info, completely transparent information and education and a cool marketing campaign to boot. it's $30 for everything you need/month. it even comes with a nifty sticker board so you can keep track of keeping up with your twice daily ritual for 21 days. exactly as long as it takes to build a new habit! 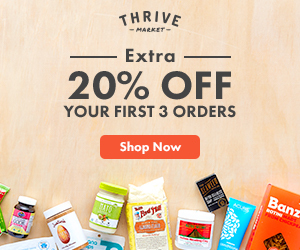 at my new online dispensary of over 8,000 organic & natural herbal alternatives in makeup, beauty and self-care, carefully curated for you, by me!